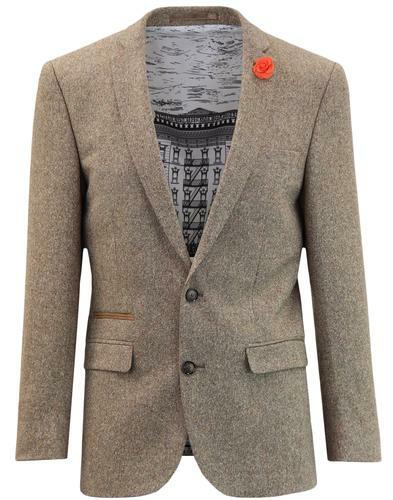 Gabicci Vintage 'Hythe' men's 1960s mod Prince of Wales Check blazer jacket in pewter. A striking flash of red creates a stand out retro vibe and the ornate 60s paisley lining maintains that extrovert and sophisticated look. 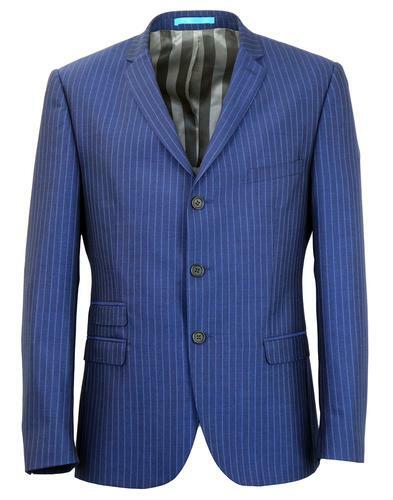 3 button single breasted fasten, retro notch lapel and classic mod right side ticket pocket all epitomise a refined and tailored style synonymous with Gabicci Vintage suiting. 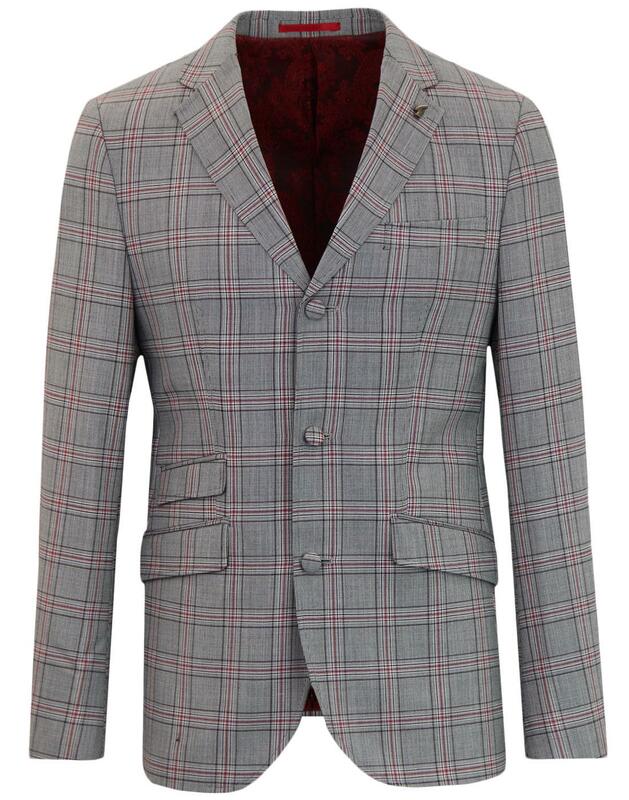 The 'Hythe' Prince of Wales check blazer jacket is finished with centre vent to reverse, self covered buttons to non-working cuffs and detachable 'G' lapel pin. 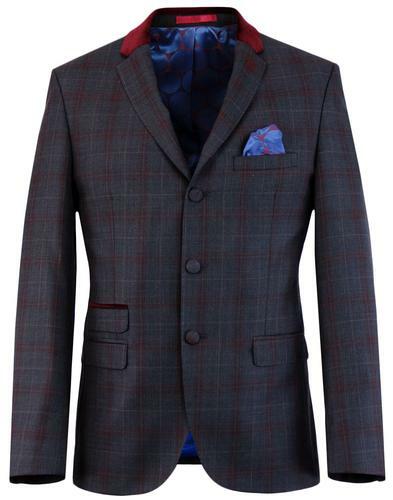 Team the Gabicci Vintage 'Hythe' POW check suit blazer with matching retro V-neck waistcoat and slim leg suit trousers to create an awesome 3 piece mod suit. 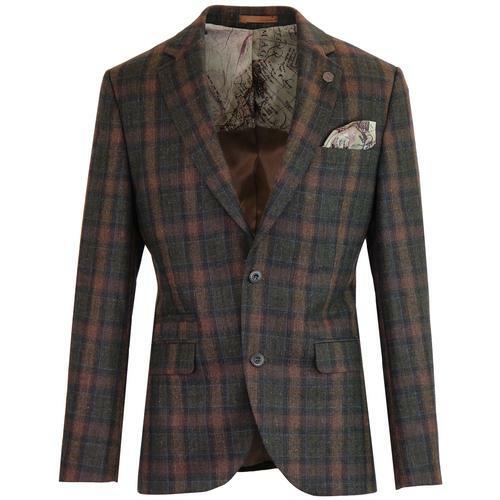 - Gabicci Vintage 'Hythe' men's retro Prince of Wales Check suit blazer. - 3 button single breasted blazer jacket. - Pewter POW check with flashes of red. - Ornate paisley lining in red. - Covered buttons to non-working cuffs. - SKU: V40GJ02 Hythe POW Check Suit Jacket. Composition: 60% wool, 40% polyester. 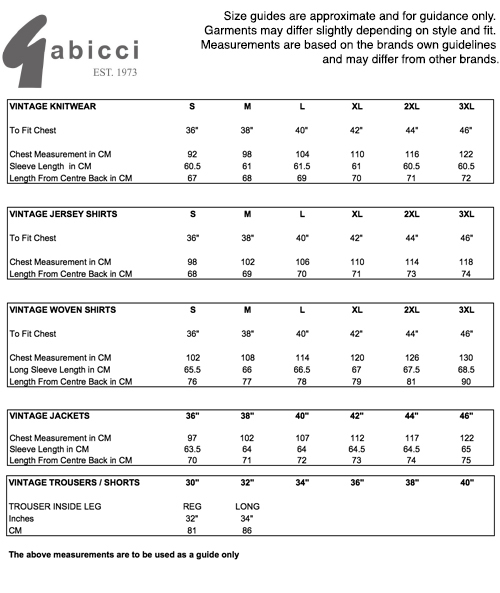 Lining: 55% polyester, 45% viscose.